I love adding red accents to my kitchen, especially when they are cute vintage treasures either found while browsing the thrift shops and yard sale or gifted from a friend or family member. This cute little tray was originally "picked" by my friend Barb. Isn't it adorable? Each time I saw it at her house, I complimented her on how much I liked it. One day, she arrived early for a party I was hosting and surprised me with the tray. I was so thrilled, that I immediately found a spot for it on my kitchen table...it's been there ever since. I just switch out the items I place on it according to the seasons or just based on my mood at the time! Lemons and strawberries are wonderful summer flavors. 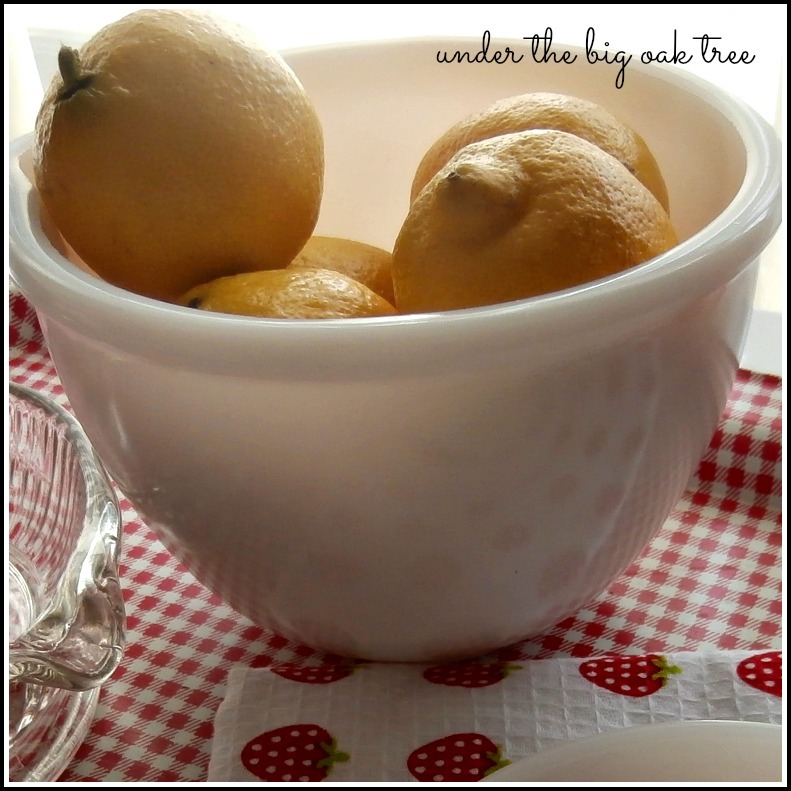 Lemon is one of my favorite summer time flavors! we picked up a 2 lb bag of lemons when they were on sale last week. Don't they look refreshing in this vintage mixing bowl? 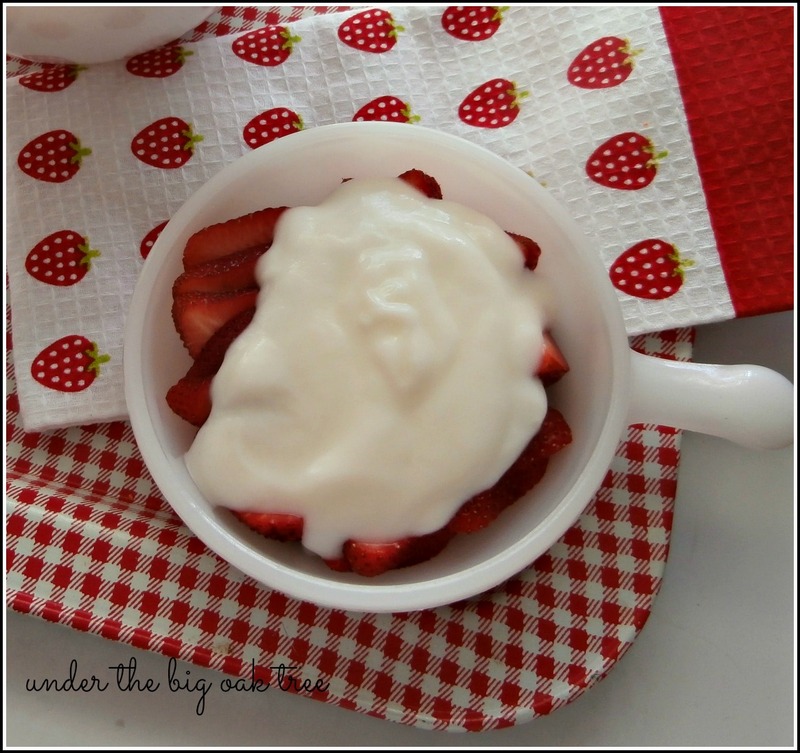 Berries topped with yogurt is the perfect light summertime breakfast. 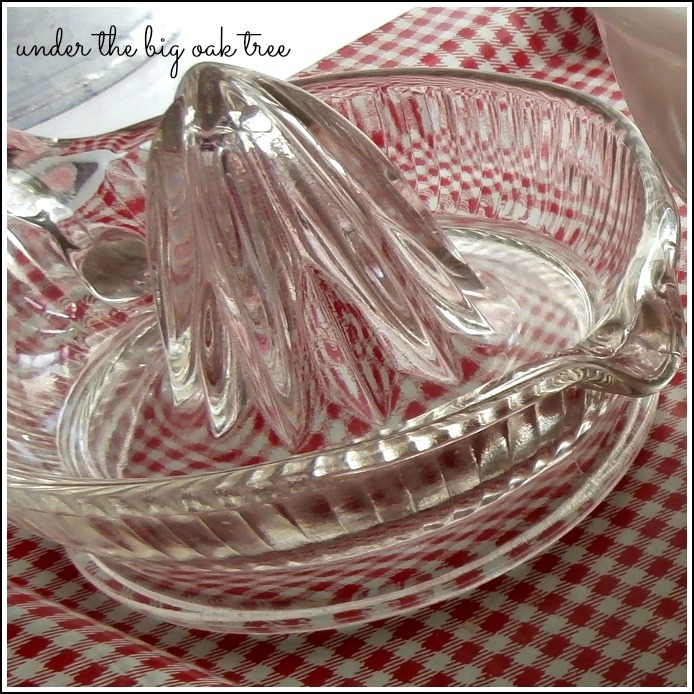 Recently, I picked up four of these milk glass chowder bowls. They've since been my favorite for snack time! that can be used around the house. Occasionally, I do purchase items that are not vintage or second hand. gotta love the Dollar Spot! Hi, Alison! I'm Holly and this is my first time here. Your pics are very sweet! I love the tray and tea towel. Wish I had a Target near me! Your reds are darling! 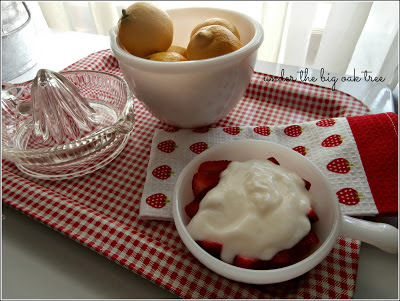 I love your gingham tray! Happy belated Rednesday! I'm a lemon person too! I'll bake anything lemony any time of the year! 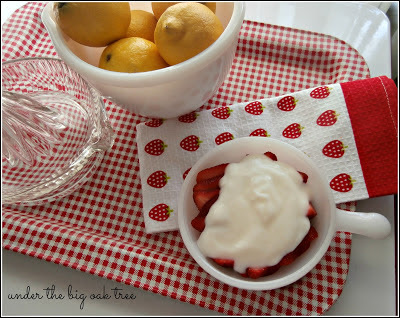 I just picked up the sweet strawberry cloths at Target - love them! Your display is just adorable. I love living in the country, too! Even though it's a long drive to work each day - it's worth it. This morning's view was gorgeous!